The Mein Schiff 4 carries a maximum capacity of 2506 passengers and offers an all-inclusive concept and casual atmosphere. 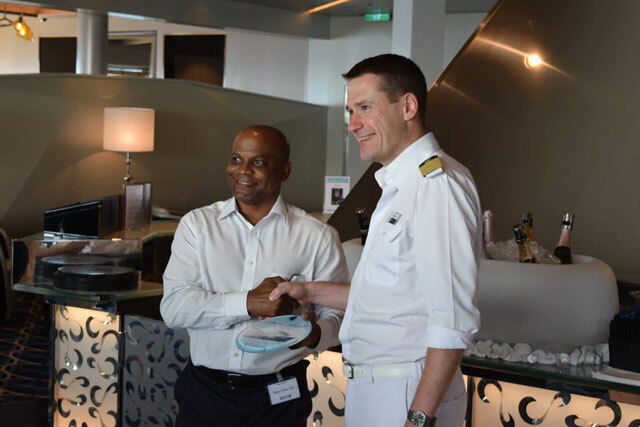 On Tuesday November 8, several government officials attended the welcome ceremony on board the German ship. These included Minister of Tourism, Honourable Lindsay Grant; Permanent Secretary in the Ministry of Tourism, Mrs. Carlene Henry Morton; Deputy Commissioner of Police, Mr. Hilroy Brandy; Assistant Commissioner of Police, Mr. Terrance James; National Disaster Coordinator at NEMA, Carl Herbert; and Chief Executive Officer (CEO) of the St. Kitts Tourism Authority, Racquel Brown. 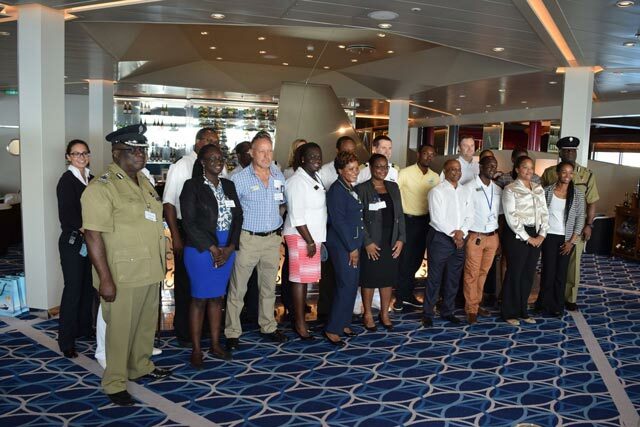 Other officials included Mr. Donald Cable, and personnel from the St. Christopher Air and Sea Ports Authority (SCASPA) who were visibly impressed as they toured the Mien Schiff 4. According to the St. Kitts Tourism Authority a total of 16 ships will make inaugural calls to St. Kitts during the 2016-17 season, which is expected to be another record breaking season with a projected 1,125,927 passengers, from 391 cruise ship calls.